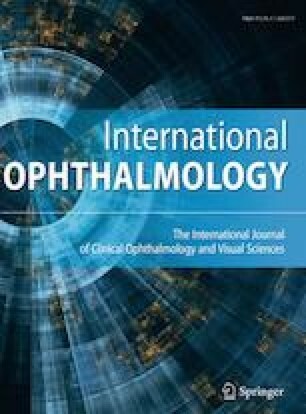 To introduce the use of corneal epithelial mapping by anterior segment optical coherence tomography (AS-OCT) as an ancillary testing for the identification of areas of loose epithelial adherence in recurrent corneal erosion syndrome (RCES), and the subsequent treatment of the latter with anterior stromal puncture (ASP). Five patients were presented with RCES following traumatic corneal abrasions. Following resolution of acute episodes, AS-OCT epithelial mapping was performed revealing in all patients an area of increased epithelial thickness (hot spot) corresponding to the site of loose attachment of the epithelium to the epithelial basement membrane. ASP to the area of epithelial thickening, as delineated by the epithelial map, was performed. To date, none of the patients has shown any signs of disease recurrence over a period ranging from 6 to 20 months following the application of epithelial map-guided ASP. AS-OCT epithelial mapping can reveal the exact area of loose epithelial adherence in RCES. Hence, epithelial mapping can delineate the target area for treatment with ASP and may decrease the high failure rates of ASP. All authors certify that they have no affiliations with or involvement in any organization or entity with any financial interest (such as honoraria; educational grants; participation in speakers’ bureaus; membership, employment, consultancies, stock ownership or other equity interest; and expert testimony or patent-licensing arrangements), or non-financial interest (such as personal or professional relationships, affiliations, knowledge or beliefs) in the subject matter or materials discussed in this manuscript. All procedures performed in studies involving human participants were in accordance with the 1964 Helsinki Declaration and its later amendments.